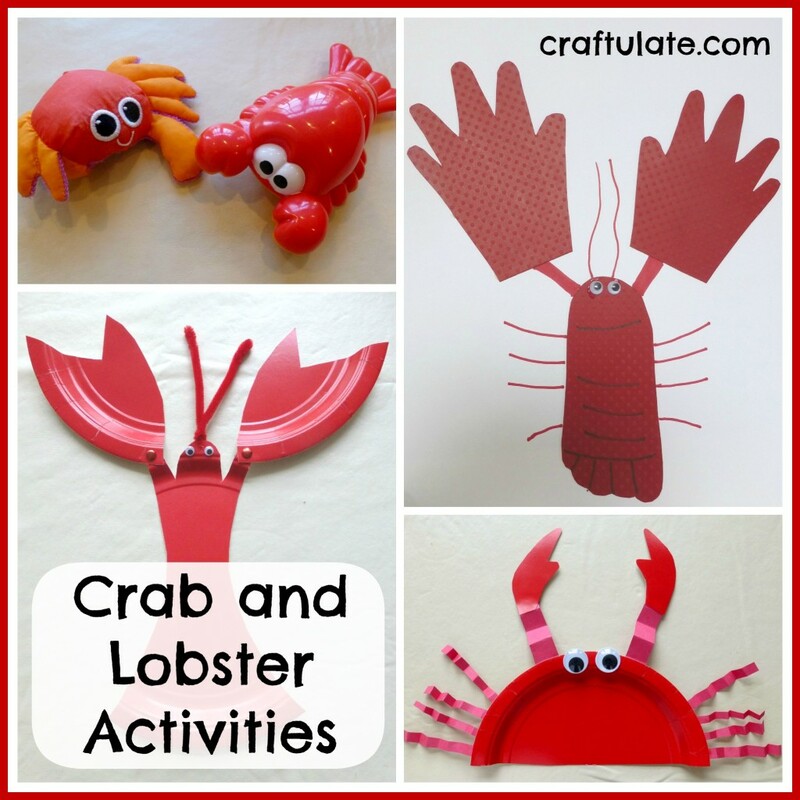 Here are some crab and lobster activities and crafts that are suitable for young children. 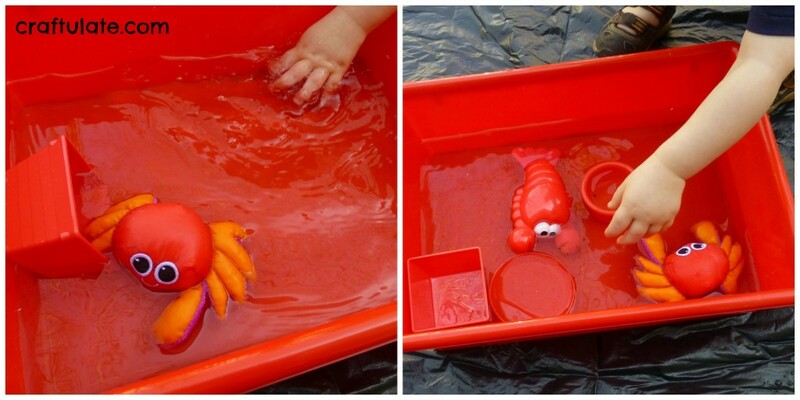 On the first really hot day of the year, we finally got outside to do some water play. This included a wind-up lobster toy and water squirt crab! I was inspired by No Time For Flashcards to make this crab from a paper plate. I used a red plate which meant we didn’t need to paint a white one first. I prepared all the pieces, intending that F would help me construct the crab, but in the end I did it all myself. He’s just turned 2 and I don’t think he was ready for this activity yet. 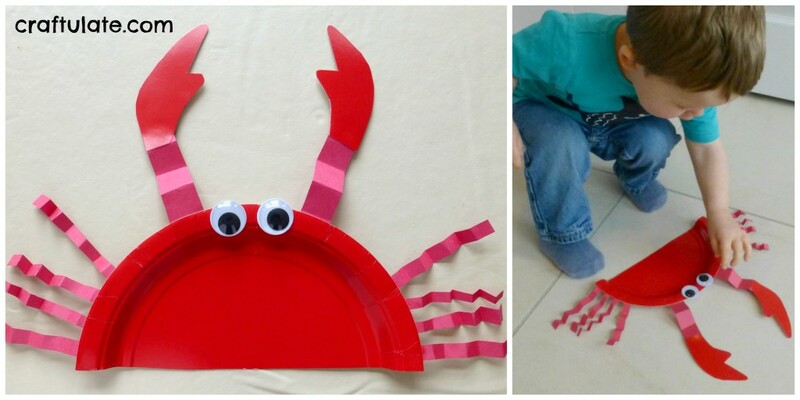 I made this for F using a red paper plate, paper fasteners (brads, split pins) and googly eyes. 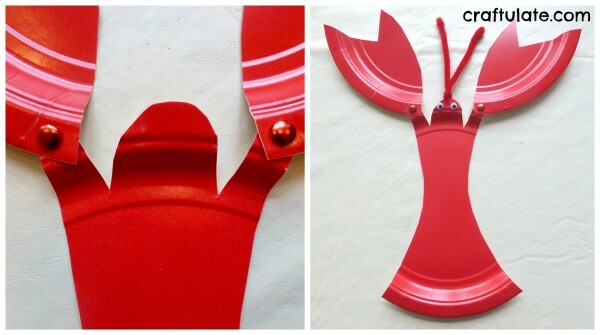 I cut two claws out from the sides of the plate and used the centre section for the body. Then I made holes in the ends of the claws and “arms” and pushed a red paper fastener through to secure them together. Then I made another hole to thread the pipe cleaner through and glued on googly eyes. 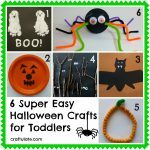 This idea for this craft came from Sprout Online – but I don’t think the post is there any more. This could be done with painted prints but I decided to make a mess-free version. I drew around one of F’s hands and feet to get the outlines. Actually, I only got an approximate outline of his foot – he was rather squirmy! Then I used the outlines as a template to cut out two hands and a foot from textured red card. I mounted them on white card, drew in some details and added googly eyes. See 123HomeSchool4Me for a painted version of a hand and foot lobster. These crafts are part of our Red Crafts and Activities week. 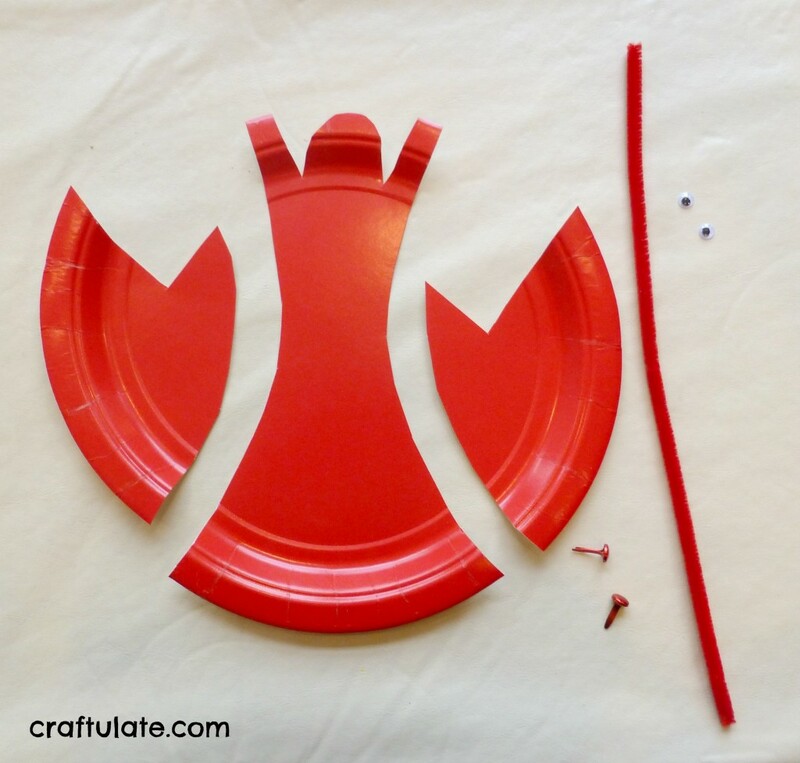 Thanks so much for linking this up to our paper plate round up! And for including us in your Ultimate Craft Materials Guide!! It’s a pleasure, Sarah – so glad you could join in with the series! 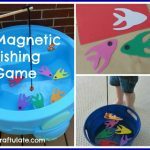 Pingback: 27 Ocean Animal Crafts for Kids - Frugal Mom Eh!